Citi Double Cash Review 2019: Too Good to Be True? With the Citi Double Cash, you get 1% cash back on purchases plus ANOTHER 1% cash back as you make payments for those purchases, whether in full or in installments. You don't want to keep track of rotating categories, but you love to know you're getting double the rewards. Your spending is varied and you want to go be rewarded the same for all purchases. You need to consolidate your debt and want an introductory balance transfer APR to help you do some catching up. Let's go over how this card works, its benefits, and its potential downsides. The Citi Double Cash gives you the opportunity to earn cash back twice. Each time you make an eligible purchase, you'll receive 1% cash back. As you make payments, you will then receive another 1% cash back, whether you pay in full or in installments (as long as you pay at least the minimum). There are no seasonal rotating rewards, so you don't have to worry about keeping track of them and remembering to enroll. You'll just automatically earn cash back on everything you purchase using the card. And there are no limits on the amount of cash back you can earn. Double Cash offers an excellent reward rate, so if your spending is varied, this could serve well as your primary card. Once you start accruing rewards, they are easy to understand (no need to decipher what points or miles equal). You'll see "Cash back on purchases" and "Cash back on payments" on your statement. Watch Out: if you don't make any eligible purchases or payments for 12 months, your rewards will expire. This can turn out to be a costly loss if you don't monitor your use of the card, especially if you made some big-ticket purchases early on that netted you a fair amount of cash back. Even if you paid the balance in full and forgot to redeem your rewards, you'll lose that cash if you don't use the card for a year. You may want to consider a credit card with no expiration on rewards instead, as it doesn't matter how much rewards you earn, if they expire. Note: A purchase is not considered eligible if it is returned for credit. And if you keep a balance and pay interest, please note that you do not get 1% cash back on any interest you pay. The cash back is on purchases only. Besides the great cash back rate, the Citi Double Cash is also great for those who have debt on other cards and want to really make a dent in it. If you have other credit cards with balances and a high interest rate, the Citi Double Cash card's attractive 0% intro APR on balance transfers for 18 months is a good incentive to transfer your balance. After the introductory period, the APR will be 15.74% - 25.74%* (Variable), depending on your creditworthiness. Please note that there's a 3% transfer fee or $5, whichever is greater (standard for many credit cards). For example, if you transfer $1,000 from one card and $3,500 from another, it will cost you $135 in balance transfer fees to make the $4,500 transfer. Still, that could be a much lower amount than you would have paid in interest on the other cards. Just make sure you have a plan to pay off the balances before this introductory period ends. Keep in mind, there is no introductory APR on purchases. Keep in mind that if you transfer a balance, you will be charged interest on your purchases unless you pay off your entire balance (including balance transfers) by the due date each month. Paying on balance transfers also doesn't earn cash back. You may want to consider a promotional credit card with 0% apr on purchases instead. Flexible rewards redemption: After you reach at least $25 in rewards, you can redeem your cash back (which is a low minimum compared to some other cards). You can get your cash back in the form of a check, a credit on your balance, or as a gift card from a list of retailers that have partnered with Citi. No late fee for paying late, once: This is a small little perk that could come in handy. Most of us are guilty of forgetting to pay a bill from time to time. Citi Double Cash will give you a pass and not charge a late fee for the first late payment. Citi Price Rewind: This is a great feature offered by Citi on some of their cards. When you make an eligible purchase and register it, Citi will search for that item at hundreds of online stores. And if they find a lower price within 60 days of your purchase date, you'll be refunded the difference. There is a maximum benefit of $200 per item, with a $1,000 per year limit. Travel Protection: This card offers travel accident insurance, reimbursement for trip cancellation/interruption, car rental insurance against damage or loss, and smart chip technology for enhanced security. Purchase Protection: You'll get reimbursed for stolen or damaged eligible items within 120 days of purchase (up to $1,000 per item and $50,000 per year), $0 liability for authorized charges, and extended one year of warranty on eligible purchases with a warranty of 5 years or less. No sign-up bonus: Cash back with no annual fee is a pretty good reward rate, and in exchange for this, there is no sign-up bonus, which may turn off some people looking for an immediate large reward. You could potentially get more back with another card: If you do not mind keeping track of rotating reward categories, you could possibly earn higher rewards with another cash back credit card. Cards such as Chase Freedom and Discover It offer 5% cash back on certain categories every 3 months up to a quarterly maximum (requires free activation). But this largely depends your lifestyle and spending habits, so it's worth doing a comparison check before you apply. Rewards expire: If you forget to redeem your rewards, remember that you'll lose them if you don't use this card in 12 months. If this isn't your go-to card and you forget about it, you could end up losing your rewards. See credit cards with no expiration on rewards. No intro APR on purchases: There is no intro APR on purchases, so this card is suited for those who pay their balance in full each month. The APR is quite high from 15.74% - 25.74%* (Variable). If you tend to carry a balance, you would probably be better off with a low interest credit card instead as the amount you'll pay on interest will defeat the purpose of the cash back. 3% foreign transaction fee: This card does charge a 3% fee when you use it overseas, so if you're planning on traveling abroad, it's best to have a no-foreign-transaction fee card, such as the Sapphire Preferred, in your wallet. Before signing up for Citi Double Cash, it's smart to compare it to some similar credit cards to see which better fits your needs. Chase Freedom Unlimited: Unlimited 1.5% cash back on every purchase. This is a lower rewards rate than Citi Double Cash. Both are great cash back cards, so see what your immediate needs are (Citi Double Cash vs Chase Freedom Unlimited). If you're planning on making large purchases soon, maybe you'll like the breathing room offered by Freedom Unlimited. To start, check out the latest promotion. Cash Back Rewards: Earn cash back twice on every purchase: 1% cash back when you buy; plus an additional 1% cash back as you pay for those purchases Cash Back Rewards: Double Cash Back: Earn 3% cash back on all purchases in your first year up to $20,000 spent. After that earn unlimited 1.5% cash back on all purchases. 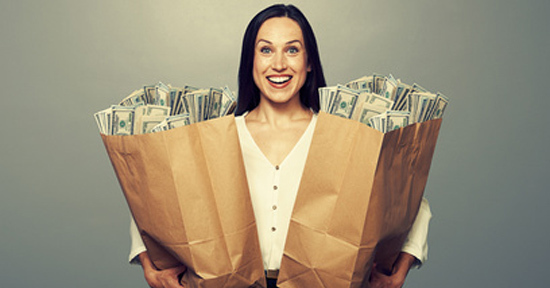 Chase Freedom: Earn 5% cash back on up to $1,500 in combined purchases in bonus categories each quarter you activate. Enjoy new 5% categories every 3 months. Unlimited 1% cash back on all other purchases. This card takes a little bit of work to use because you'll have to keep track of these categories and make sure you're charging your purchases accordingly. But if the categories match your lifestyle, you have the potential to earn a lot more cash back. Plus, there's a signup bonus: earn a $150 Bonus after spending $500 on purchases in your first 3 months from account opening. Cash Back Rewards: Earn cash back twice on every purchase: 1% cash back when you buy; plus an additional 1% cash back as you pay for those purchases Cash Back Rewards: Unlimited 1% cash back on all other purchases. Disclaimer: The information for the Citi® Double Cash Card and Chase Freedom has been collected independently by CreditDonkey. The card details on this page have not been reviewed or provided by the card issuer. Discover it®: The Discover It is very similar to the Chase Freedom in the way the rewards work; the main difference is the categories. So compare and see which ones match your lifestyle more. The Discover It also offers a bonus twist: it will match all the cash back you've earned within the first 12 months after account opening. It's a good choice if you're planning on making large purchases soon. Cash Back Rewards: Earn cash back twice on every purchase: 1% cash back when you buy; plus an additional 1% cash back as you pay for those purchases Cash Back Rewards: 1% cash back on all other purchases. The generous cash back rewards rate makes the Citi Double Cash a great choice. If your spending is varied and you don't want to keep track of rotating categories, this is one of the highest cash back reward rate you can get. The no annual fee just adds the cherry on top. Because of the introductory APR on balance transfers for 18 months, it's also a useful card if you have existing debt and want to make a dent in it. If you do use the card to make a balance transfer, keep in mind that there's no intro APR period for purchases. Plan to pay off your balance in full each month to best use this card. Disclaimer: This content was first published on August 29, 2014. This content may have been updated on July 2, 2017. Information including APR, terms and benefits may vary, be out of date, or not applicable to you. Information is provided without warranty. Please check Citi website for updated information. Disclaimer: The information for the Citi® Double Cash Card, Chase Freedom, Discover it® Cash Back, and Capital One® Quicksilver® Cash Rewards Credit Card has been collected independently by CreditDonkey. The card details on this page have not been reviewed or provided by the card issuer. Leave a comment about Citi Double Cash Review: Too Good to Be True?